Urgent Notice: Please read the following information related to the discovery of the Pervasive Engine behaviour that affects Client-Server Pastel users and the affect it has on a number of backup technologies. The Pervasive Engine of the Client-Server Pastel version will only flush its cache, when the LAST user logs out. If a user stays logged in, then the database will only be current to the last time EVERYONE had logged out. 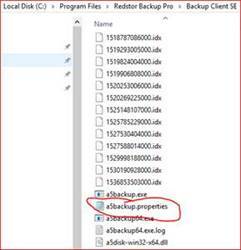 The implications of this are that various backup technologies will NOT be able to RESTORE the last backup in the event of an issue, UNLESS ALL USERS have been logged out prior to the backup starting. 4.) Restart the Service and test. IronTree Customers may email techsupport@irontree.co.za for assistance.